MUSKOKA LAKES TOWNSHIP — Heavy snow and an “overly adventurous,” and inexperienced fisherman and snowmobiler are being blamed after a train struck a snowmachine at a railway crossing in Muskoka Lakes Township Saturday. The stuck sled was struck at a rail crossing by a slow-moving train. Members of the Ontario Provincial Police (OPP) Bracebridge Detachment responded to been struck by a train, after becoming stuck in deep snow on a seasonal road in Muskoka Lakes Township. The say that on Feb. 16 they were called to the area after an “overly adventurous ice fisherman” attempted to drive down a seasonal, unmaintained road to access the lake. The road conditions deteriorated to the point where the driver was forced to turn back and then became stuck, unfortunately at a rail crossing. Unfortunately for everyone, a slow moving train happened by and a collision ensued. No one was hurt in the slow speed collision, but specialized rail equipment had to be used to remove the damaged vehicle from the rail line. Police did not say if any charges were laid or are pending for the costly and potentially dangerous misadventure. Police remind motorists in the Muskoka area that some of our roads are designated “summer maintained,” which means they are not sanded, salted or plowed in the winter. Deep snow, ice and fallen debris make these roads impassable to even highly capable off road vehicles and passage should not be attempted. 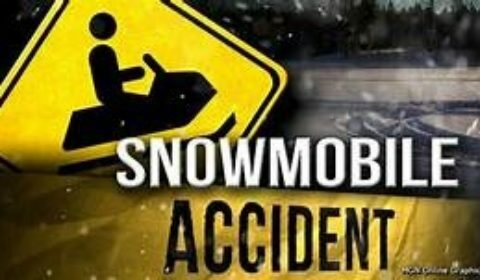 Furthermore, roads that have been groomed into snowmobile trails are off limits to all vehicles except snowmobiles.